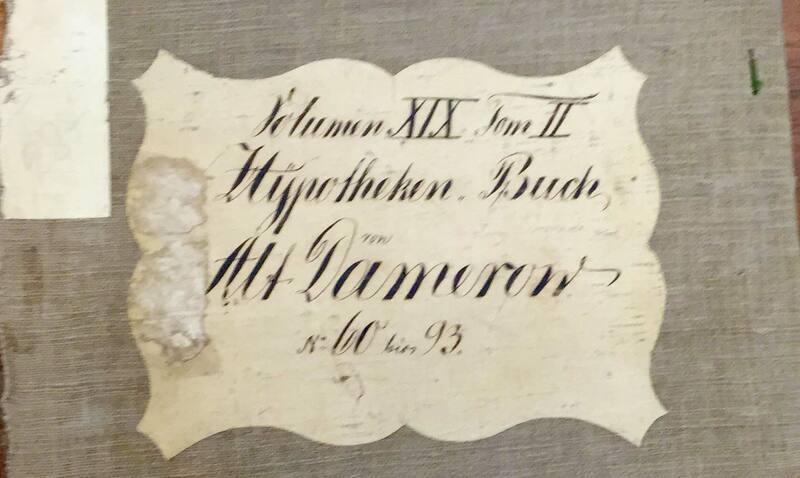 It is with great pleasure that I am able to share for the first time the land register books of Alt Damerow in Kreis Stolp. These mortgage and land deeds go back to the early 1800s and chronicle the history of the and and its owners, also occasionally bringing to light any inheritance matters, and most certainly detailing the amount paid for the land and by whom. It would appear that 367 #13 is split into two sections: Alt und Neu Damerow. It is also my suspicion that this Grundbuch is separate from any subsequent listing for mortgages in Neu Damerow.